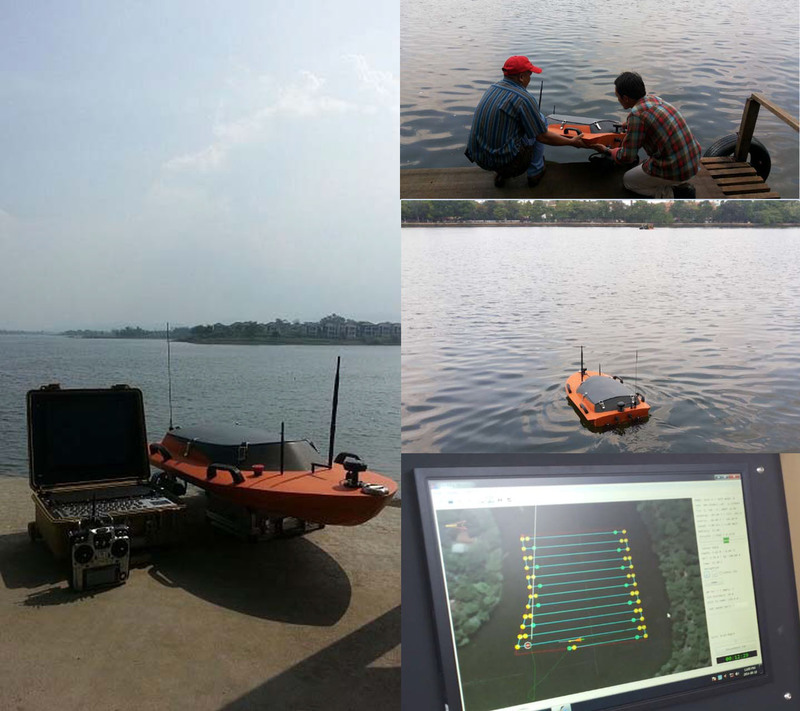 Geomar is a surface boat commonly used for hydrographic survey controlled remotely by a remote control and autonomous. Geomar gives an easy way for operators to conduct a bathymetric surveys on lake, river, reservoir, etc. Geomar is equipped with depth sounder sensor, GNSS RTK system for Position & Heading, and data transmission so that Geomar can send real time data while conducting bathymetric survey. The operator can monitor the real data captured along the way points on a surface station. Operator able to monitor or quality control of the data remotely while conduct the survey through the monitor.